Appointments to the civil service are based on open and fair competition. Candidates have to go through competitive appointment processes and are appointed only if they possess the qualifications and capabilities required for the job. Vacancies can be filled by promotion from within the service. In the case of basic ranks or where promotion is not possible or where there is a special need, vacancies are filled by open recruitment. To achieve the target of reducing the civil service establishment, the Government implemented a general recruitment freeze to the civil service with effect from April 1, 2003, with exemption granted only on very exceptional circumstances. Entry requirements for civil service posts in general are set on the basis of academic or professional qualifications obtainable from local institutions or professional bodies (or equivalent), technical skills, work experience, language proficiency and other qualities and attributes as required. To achieve the aim of a civil service which is biliterate (Chinese and English) and trilingual (generally conversant in spoken Cantonese, English and Mandarin), language proficiency in Chinese and English is also required. From January 2003 onwards, for civil service posts requiring degree or professional qualifications, applicants should pass the two language papers (Use of Chinese and Use of English) in the Common Recruitment Examination before job application. For civil service posts with general academic qualifications set below degree level, applicants should attain at least Grade E in Chinese and English (Syllabus B) in the Hong Kong Certificate of Education Examination, or equivalent. 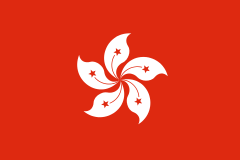 In accordance with the Basic Law, new recruits appointed on or after July 1, 1997 must be permanent residents of the Hong Kong Special Administrative Region, save for certain specified exceptions. Officers are promoted on the criteria of character, ability, experience and prescribed qualifications. All eligible officers are considered on an equal basis. The officer selected for promotion must be the most meritorious one who is able and ready to perform duties at a higher rank. The commission is an independent statutory body responsible for advising the CE on civil service appointment, promotion and disciplinary matters. In practice, the advice is rendered to the SCS and the CSB deals with the commission on individual cases. The chairman and members of the commission are appointed by the CE. The commission seeks to ensure the impartiality and fairness in appointments to the civil service and also advises on discipline matters. In accordance with the Public Service Commission Ordinance, advice of the commission has to be sought for appointment or promotion of officers to middle and senior ranking posts (excluding the disciplined ranks of the Hong Kong Police Force). The commission is also consulted on changes in appointment procedures applicable to civil service posts. Three independent bodies advise the Government on matters relating to pay and conditions of service. Their members are selected from outside the Government. The Standing Committee on Directorate Salaries and Conditions of Service advises on matters affecting the directorate. The Standing Commission on Civil Service Salaries and Conditions of Service advises on the principles and practices governing the pay and conditions of service of all non-directorate staff except those in the judicial and disciplined services. The Standing Committee on Disciplined Services Salaries and Conditions of Service advises on the pay and conditions of service of all disciplined services staff except the heads of the services who remain under the purview of the Standing Committee on Directorate Salaries and Conditions of Services. It is the Government's established policy to offer sufficient remuneration to attract, retain and motivate staff of a suitable calibre to provide the public with an effective, efficient and high quality service. In order to ensure that civil service pay is regarded as fair and reasonable by both civil servants who provide the service and the public who foot the bill, the Government adopts the principle that the level of civil service pay should be broadly comparable with private sector pay. In 2003, the CSB embarked on an exercise to develop an improved civil service pay adjustment mechanism for long-term adoption in the civil service. The exercise has stemmed from the recommendations arising from the Review of Civil Service Pay Policy and System. Under the improved civil service pay adjustment mechanism, the conduct of periodic pay level surveys will be the principal means to ascertain whether civil service pay is broadly comparable to private sector pay and thus, in compliance with the established civil service pay policy. The CSB issued a consultation paper in November 2004, setting out the methodology of the pay level survey as recommended by a consultant and the proposals on the application of the survey results to the civil service. The field work of the pay level survey was to be carried out on the basis of April 2005 private sector pay, but implementation was delayed a year. In April 2007, the results were announced: 20 years after the previous such Pay Level Survey, none of the jobs in the public sector was found to be paid more than 5% above or below its private sector equivalent. Apart from salaries, civil servants are eligible for various fringe benefits depending on their terms of appointment, rank, salary point, length of service, and other eligibility rules. Proactive steps have been taken over the years to modernise the provision of fringe benefits to civil servants. The payment of many fringe benefit type of allowances has been either ceased or tightened up for new recruits offered appointment on or after June 1, 2000 to reflect present day circumstances . In June 2004, the CSB has commenced a review on fringe benefit type of allowances to ensure that payment of civil service allowances is in line with today’s circumstances, to enhance control over government expenditure in this area, and to improve efficiency in the administration of these allowances. The main objectives of training and development are to equip civil servants with updated knowledge and skills, and to develop their potential so that they can continue to improve their performance and provide quality service to the public. Training and development programmes are carefully designed to enhance performance and to support the core values of the civil service. Job-related training is arranged by departments while induction and grade specific management training for general grade members are in general provided by respective grade management. Full-time and part-time courses are provided, either locally or overseas, for staff to obtain the requisite knowledge. The CSB provides robust training and development support to departments through its Civil Service Training and Development Institute. There are four core service areas: senior executive development, national studies programmes, human resources management consultancy service and promotion of a continuous learning culture. Senior executive development programmes include leadership development and national studies programmes for directorate and potential directorate officers. Advisory services on Human Resources Development (HRD) and succession planning are also provided. National studies programmes include courses at Mainland institutes like the National School of Administration, Foreign Affairs University, Tsinghua University and Peking University. There are also local programmes on national affairs and the Basic Law, as well as staff exchange programme with the Mainland. To promote a continuous learning culture, an e-learning portal, the Cyber Learning Centre Plus has been launched. The comprehensive suite of learning resources and training information in there help staff learn at their own pace. The Institute also disseminates best practices in HRD through its advisory services in training needs analysis, learning strategies, development of competency profiles, and performance management systems, etc. Through the performance appraisal process, staff at different levels are made aware of the standard of performance expected of them. Proper management of the process helps maximise individual performance and enhance the corporate efficiency and effectiveness of the civil service as a whole. As an integral part of the overall human resource management functions, it is a major tool in human resource planning (e.g. succession planning), development (e.g. training and job rotation), and management (e.g. confirmation, promotion, posting and disciplinary action). Performance appraisal of staff is an ongoing process. While appraisal reports would normally be completed annually, regular communication between managers and staff on performance is essential. Transparency and objectivity of the appraisal process are also emphasised. To improve the system, department management is encouraged to put in place assessment panels to undertake levelling and moderating work among appraisal reports, identify under-performers/outstanding performers for appropriate action, adopt other management tools including target-based assessment and core competencies assessment, and ensure supervisors do an honest, objective and timely assessment of their subordinates. The performance management system ensures good performance and exemplary service are rewarded and given due recognition, whilst under-performers are managed, counselled and offered assistance to bring their performance up to requirement. For persistent substandard performers who fail to improve, action will be taken to retire them in the public interest. In recognition of long and meritorious services, there are the Long and Meritorious Service Travel Award Scheme, the Long and Meritorious Service Award Scheme and the Retirement Souvenir Scheme. A commendation system also exists to give recognition to exemplary performance. Disciplinary action is taken against an act of misconduct to achieve a punitive, rehabilitative and deterrent effect. All disciplinary actions are handled promptly and in accordance with established procedures and the principles of natural justice to help enhance management credibility and staff morale. There is both a central and a departmental staff consultative machinery. Centrally, there are the Senior Civil Service Council, the Model Scale 1 Staff Consultative Council, the Police Force Council, and the Disciplined Services Consultative Council. Through these channels, the Government consults its staff on any major changes, which affect their conditions of service. At the departmental level, there are Departmental Consultative Committees which aim to improve co-operation and understanding between management and staff through regular exchanges of views. There are established channels to deal with staff grievances and complaints. Individual members of staff with problems can receive counselling, advice and help. A Staff Suggestions Scheme is run by both the CSB and departments to encourage staff to make suggestions for improving the efficiency of the civil service. Awards are given to those whose suggestions are found useful. A Staff Welfare Fund caters for the interests of staff. A Staff Relief Fund provides assistance to meet unforeseen financial needs to staff. Consultation of civil service reform took place in March 1999. The aim of civil service reform is to make Hong Kong civil servants more flexible and prepare themselves to face the changes and increasingly demanding challenges in the years ahead and meet the demands of society. ↑ Chan, Hon (2003). The Civil Service under One Country, Two Systems: The Cases of Hong Kong and the People's Republic of China. City University of Hong Kong: Public Administration Review. p. 409. ↑ Vyas, L (2010). "Balancing outlook: assessment of public service training in Hong Kong by providers and clients.". Public Personnel Management 39. ↑ Morris, Richard; Quinlan, Michael (1978). "Staff Relations in the Hong Kong Civil Service". Journal of Industrial Relations. 20 (2).